In this retreat daily asana, meditation and chanting practices will be couched in the context of the the Bhagavad Gita. Grounded in our own physical experience, prana and relationships we will follow Arjuna’s progression through the story to tap into the timeless insights of the text that point the way to navigating life’s inevitable difficulties. Our month long Teachers Intensive will be held July 22 - August 16, 2019. Applications for the Intensive will be available November 19, 2018. Sitting practice, pranayama, Mysore-style asana, chanting and philosophy, and entire days of meditative silence . . . all this at the beach in October with Richard and Mary. Too good to be true? Click photo to find out more! Join Richard, Mary, and Bob Thurman as they explore the interface of Buddhism and yoga through the eyes of the divine feminine. August 17 to 24, New York. Learn to teach and listen with your hands. This 5-day "assisting" intensive (Aug 6 to 10) led by Mary Taylor and Ty Landrum will help you become proficient in using your hands in a way that is appropriate for different bodies and circumstances. Experience the Art of Vinyasa in Portuguese! Richard and Mary will be in Brazil from June 1 to 3, 2018. Richard & Mary are going to be in Thailand a lot in 2018. If you want to study with them, there's still a lot of space in the October retreat, and one more slot in the March retreat. Click photo for details. Richard & Mary will be reunited with Tim Miller at the upcoming Ashtanga Yoga Confluence 2018 in San Diego. Are you going? Richard and Mary are teaching in Austin the weekend of Feb 16 to 18. Come and discover the intelligence deep within the body. This year's Advanced Intensive takes place at the Yoga Workshop in Boulder from January 29 to February 2. The course is now full, but if you add your name to the waitlist, we'll contact you when something opens up. Study with Richard & Mary at the Yoga Workshop in Boulder, where it all began. The Essentials immersion takes place from January 22 to 26. The course is now full, but please do follow this link to sign up for the waitlist. Spaces open from time to time. Join Richard and Mary on their first visit to Shanghai! You can sign up for the 5-day immersion (October 23 to 27 | Imaginary Anatomy and Internal Forms) or maybe just the weekend workshop (October 21 and 22 | The Art of Vinyasa) . . . or both! Tune into a two-part interview with Richard and Mary! Join Richard, Mary, and Bob Thurman as they explore the interface of Buddhism and yoga through the eyes of the divine feminine. July 16 to 23, New York. “Practice and all is coming.” What does that mean? Join us at the Yoga Workshop in Boulder on June 3 and 4, and hopefully all will become clear. Richard and Mary are teaching in Ohio the weekend of May 27 to 28. Come and discover the intelligence deep within the body. Asana, meditation, and pranayama--as they apply to our own practice and to teaching others--will all be covered in this daylong intensive. See you in Ohio! Discover meditative alignment in exquisite detail and get a free copy of The Art of Vinyasa. 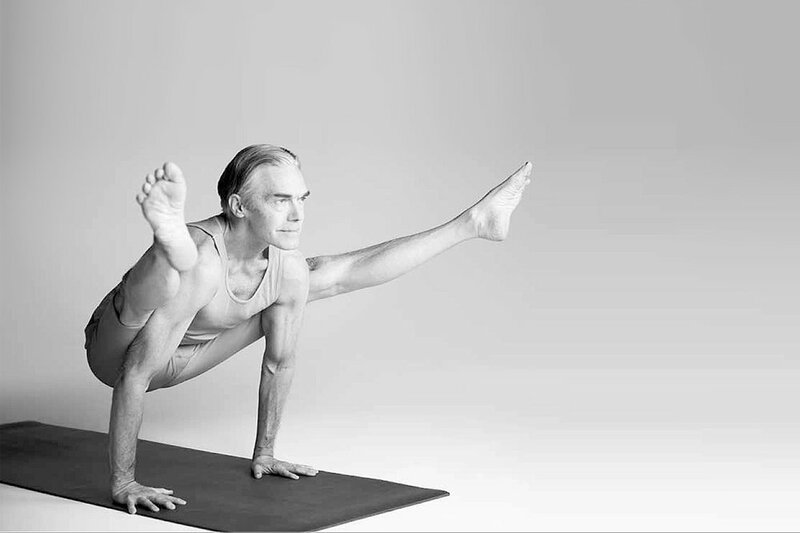 Catch Richard and Mary this April at the Yoga Journal conference, New York City. Our March retreat on the beautiful island of Samui is already fully booked, but you can still get yourself on the waitlist at Samahita Retreat or (better) look out for next year's retreat and sign up early. Going on right now: a weekend intensive led by Mary Taylor and Ty Landrum. This year we're focusing on how to assist postures from the intermediate series! The Advanced Intensive takes place at the Yoga Workshop in Boulder from February 6 to 10. The course is now full; however, we recommend that you sign up for the waitlist. Our friends at Shambhala Publications have lined up a second book-signing event on January 26, 7pm, at the Tattered Cover Bookstore in Lower Downtown Denver (1628 16th Street). We'd love to see you there! The Essentials immersion takes place from February 13 to 17 at the Yoga Workshop in Boulder. The course is now full, but we invite you to add your name to our waitlist. Spaces do open up! Please join us for a book-signing party at the Boulder Book Store (on the Pearl Street Mall) on Thursday, January 19, at 7:30pm. The Art of Vinyasa: In bookstores! Richard & Mary LIVE from Boulder! Tickets to Richard & Mary's book launch are sold out, but you can still go! Join us LIVE on Monday, December 5, 7pm Colorado time. Link and more details in this post. Richard will be offering a studio talk at the Yoga Workshop on Sunday, December 4, entitled "Finding Equanimity in Times of Imbalance." This free talk is open to everyone and will run from 10:30 to 11:30am.